He was born on October 28, 1928 in Hegira, Cumberland County, KY to the late Estell and Eunice Cross Coop. He received degrees from Burkesville High School, a BA degree and the Regents Medal for Oratory from Eastern Kentucky University, and a BD degree from the Candler School of Theology of Emory University. He served 42 years as a pastor of small, medium, and large membership churches and is remembered as having been a wonderful devotional writer. Rev. Howard Coop, 89, of Lancaster, passed away, Wednesday, May 23, 2018 at his home. Funeral services were held Tuesday, May 29, 2018 at Spurlin Funeral Home Chapel with Dr. Mike Powers, Rev. Jim Nichols, Rev. Jim Stegall and Rev. Eric Hughes officiating. A Masonic Service was held by Lancaster Lodge No. 104 F. & A.M. Burial was in Lancaster Cemetery. Rev. Howard Coop, 89, of Lancaster died Wednesday, May 23, 2018 at his home. He was preceded in death by his loving wife, Kathryn Layton Coop. Howard was born on October 28, 1928 in Hegira, Cumberland County, KY to the late Estell and Eunice Cross Coop. Rev. 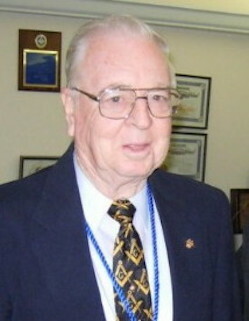 Coop received degrees from Burkesville High School, a BA degree and the Regents Medal for Oratory from Eastern Kentucky University, and a BD degree from the Candler School of Theology of Emory University in Atlanta, Georgia. In 1953, he was admitted on trial into the Kentucky Annual Conference of the Methodist Church, then ordained a deacon in the Kentucky Conference a year later, and in 1955, became an ordained elder and admitted into full connection in the Kentucky conference. He served 42 years as a pastor of small, medium, and large membership churches. Rev. Coop was a wonderful and devotional writer. He was an author of such books as, From a Land of Hills, published in 1969 and Holy Thoughts from the Holy Land, published in 2017. He was a columnist for many papers with his column AN ENCOURAGING WORD, including Advocate Messenger, Garrard County Central Record, Clay City Times, Cumberland County News, Harrodsburg Herald, Interior Journal, Mount Vernon Signal, and Wayne County Outlook. His column AN ENCOURAGING WORD has been published in many publications, such as THE UPPER ROOM. He was involved in many organizations such the Lancaster Lodge No. 104 F. & A.M., Lancaster, Ky., Scottish Rite of Bodies of Louisville, and W. R. Selby, Sr. Chapter 4, R. A. M., Danville, Ky. Surviving are nieces and nephews, special great-nephew, Ron Moberly; and special friend, who was thought of as a granddaughter, Laura Davis Rhinehart. Active pallbearers were Ron Moberly, Jerry Bryant, Doug Coop, Billy Milby, Michael Davis, David Simpson, and Steve Simpson. Honorary pallbearers were Members of the Kentucky Conference of the United Methodist Church, Members of Gunns Chapel Methodist Church, Members of Lancaster Lodge #104 F & A M and Scottish Rite Masons. Norris-New Funeral Home, 601 N Main Street, Burkesville, KY, shared the obituary. 2018-06-11 - Photo from family collection.